This article now appears in Inman News. Get in the office early, and leave late. Work while those other real estate investors are sleeping. Ignore popular thinking, and do you. Hang around people with happiness, joy and optimism, and all of that positive energy will rub off on you. I bought my 30th investment property in 2008, and then considered myself “financially retired” with approximately $25,000 per month in positive cash flow. I was 28. I did not financially retire so early because my family had money: I grew up very poor in a small Texas town. My parents often could not pay the electric bill. Most of my relatives still work $13-per-hour, blue collar jobs. When I graduated college, I was burdened with $40,000 of college debt. That’s when I set my sights on getting wealthy in real estate. Over the next decade, I learned three vital habits that allowed my real estate holdings to grow from one property, to five, to 10 — and more. There is no substitute for applying as much effort as possible in real estate at every moment. Many top producing CEOs say that they get up at 6 a.m. and often do not lie down at night until after 9 p.m. Those producers are dead on the money. In my first five years as an investor, I clocked countless 18-hour days. Most of my packed days were filled with calling as many as 100 people as I looked for deals and capital. I never surrendered. Sometimes I had to speak to five or more people to find the one who could loan me money. Get in the office early and leave late. Work while those other real estate investors are sleeping. Author John Maxwell wrote in the best-seller “How successful people think” that high achievers think differently than others. They often ignore what most people think and sometimes do the opposite of what the conventional wisdom states. In my real estate investing, I reject the conventional wisdom that I should buy attractive properties in nice parts of town. My reputation in my city is a real estate investor who buys distressed houses. I purchase only at 20 percent to 30 percent under market value and for cash flow. I do not care about appreciation, and I rarely rent my houses. Instead, I owner-finance houses to subprime borrowers, which defrays most of my repair and ongoing maintenance costs. I recognize the value in real estate investments that many other people do not see; I then developed a business model that capitalizes on this fact. For example, I purchased this house for only $15,000. No one wanted it, and 30 days later, I sold it for $20,000 (a $5,000 profit) to another investor. Then, he resold it with owner financing at 12 percent. He has bought three more houses from me since that deal. I made about $3,000 on each of those deals, so my bottom line profit on a house no one wanted: $14,000. 3. Hang around positive and focused people. The psychological researcher Barbara Frederickson did some amazing research a few years ago. It detailed how thinking positively has a positive effect on the brain. Her clinical study had five subject groups, and each one was shown a different film clip. The first two groups watched clips that produced overall positive emotions, such as a happy married couple having fun with their children outside. The third group saw a neutral clip; this was the control group. The other two groups viewed clips that stirred up negative emotions, such as a couple arguing, people fighting and children crying. After, every group was asked to think of themselves in a situation similar to what they watched. They then were told to write down what they would have done in such a situation. The test subjects who viewed negative clips wrote the least. Subjects who viewed happy scenes wrote the most. This research suggests that if you as a real estate investor experience positive things, including joy, optimism, happiness and love, we open ourselves up to more profitable and beneficial experiences in real estate. When I got into real estate investing, I was only 22. I had a lot of debt and no cash. I just wanted to make $1,000 per week — a massive sum for me back in 2000. As I got deeper into the business, I came across successful investors who took me under their wing. They were very positive people, and their goals were much higher. They wanted to make $15,000 or $20,000 per week. These positive people helped to focus me on being wealthy and successful. I absorbed their enthusiasm and joy, and it hit me: I could do that, too. They taught me to learn as much as possible about my local San Antonio, Texas, real estate market to find the best under-market value deals. They also taught me to be patient as I got wealthier. I learned from them to make small ($1,000 or $2,000) profits on many deals or to make $4,000 on a flip. I never focus on making big profits on one deal. Rather, I do 50 houses in a year and make $250,000 — that’s big bucks in Texas. 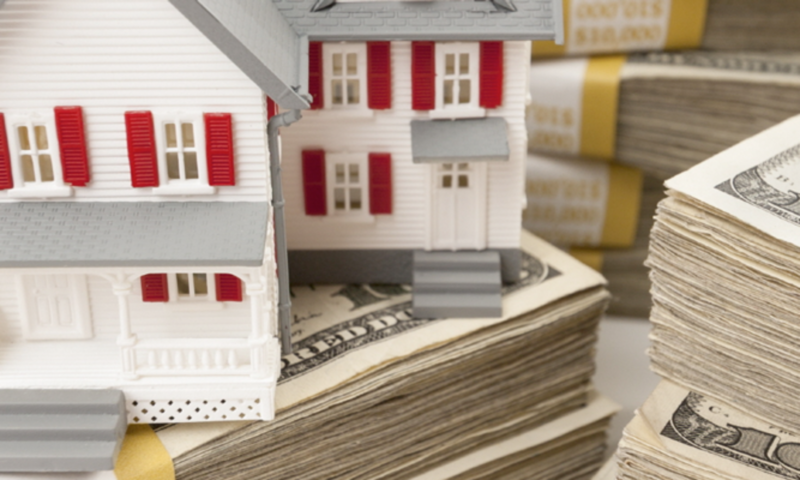 No matter your position in real estate investing, you can apply these three lessons to greatly increase your investing success and wealth. But remember: Pass on these positive habits to other real estate investors, so they can benefit, too. Next PostNext Does the Zestimate Mislead Real Estate Investors?